Genetics don’t always fall in our favor. Especially when it pertains to our smiles. Whether you’re feeling self-conscious about yellowed, cracked, crooked, or otherwise flawed teeth, it doesn’t mean you should settle for substandard quality of life. You deserve the best, so seek it out. At TruCare Dental our best cosmetic dentist, Dr. Andrea Patterson in Albuquerque NM, we provide precisely that—stellar cosmetic dentistry that’ll have you feeling like a brand new person. No matter what improvements to dental aesthetic, your wish is our pleasure. We at TruCare Dental offer an impressive variety of cosmetic dental services—a jaw dropping selection that’ll enhance your smile to the way you’ve always dreamed of. Those pearly whites not looking so bright and shiny after years of staining drinks (wine, tea, coffee, berries, sports drinks, etc.) and smoking several packs a day? No problem at all. Our incredibly teeth whitening procedure will bring back the shine to your smile—of course, you’ll want to cut back on damaging habits in order to extend the longevity of whitening results. Or maybe your aesthetic concerns go beyond just some discoloration. Like giant gaps where teeth used to be. Hope is not lost. Pay us a visit and look into dental implants, the most reliable way to bridge any dental gap. Far more stable than dentures, dental implants remain fixed to the jaw bone, so you can bite into your favorite meals with as much vigor as you want—without worrying about them coming off. A life-changing opportunity awaits, all you have to do is seek out our game-changing cosmetic dentistry in Albuquerque NM. Getting started is incredibly simple and easy. No, really. Shoot TruCare Dental a phone call (or an e-mail) to schedule an appointment with us. For either a consultation or cosmetic procedure. Don’t dawdle any longer in seeking out our cosmetic dentistry in Albuquerque NM. Dental plaque is the main cause of tooth decay, which leads to cavities. It also can damage your gums. It is a form of bacteria that grows on and between teeth. Here at TruCare Dental, we make it our priority to prevent dental plaque from causing you unnecessary consequences. Dental plaque is sticky and colorless. You can sometimes feel it on your teeth and your tongue, especially first thing in the morning before you have brushed your teeth. Sugars and starches leave remnants when you eat them, and the bacteria in your mouth use them as fuel. Acids that are associated with dental plaque erode tooth enamel, and irritate your gum tissue. Brushing at least twice per day and flossing before bedtime serve to address most of the plaque you have. But it can hide out of reach in gum pockets. There it hardens into tartar. In oder to remove that tartar, you will need to come in to our dental office in Albuquerque NM. An examination will determine if you have any cavities, so that they can be promptly filled. Otherwise, they will grow larger and put you at increased risk for weakened teeth and infections in the pulp of your tooth, down near the nerve. The result of that is typically pain and root canal therapy. You will also get a teeth cleaning at our dental office in Albuquerque NM. Not only will this eradicate any remaining plaque and tartar, but if you have gingivitis, early stage gum disease, it will reverse it. If gum disease is allowed to progress, dental plaque and tartar could cause symptoms such as receding gums, persistent bad breath, bleeding gums when you brush, loss of gum and bone tissue, and loose teeth. Contact our dental office in Albuquerque NM to make an appointment. Everyone should have an examination and teeth cleaning twice-yearly. 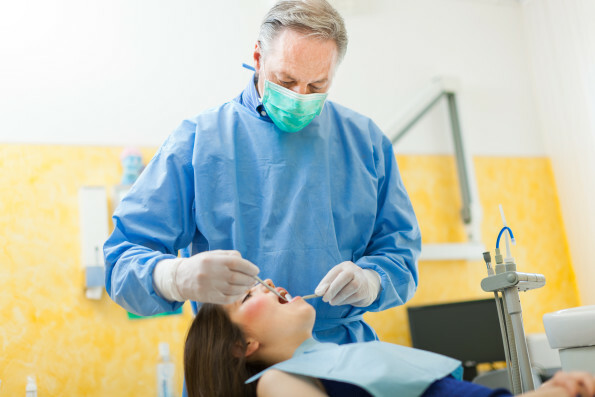 Dental problems can easily spread and become worse, sometimes requiring more intensive dental work or even surgery if they are not treated as soon as possible. If you have any kind of dental emergencies and require urgent dental care, then our emergency dentist near North Valley here at TruCare Dental can provide you with the immediate care that you need. Taking care of your dental health is essential, and one of the most important things you can do is to maintain good oral hygiene habits and to visit your dentist regularly. But aside from routine dental checkups, it is also important to look out for any signs that dental problems may be developing between visits. There are plenty of things that can be constituted as dental emergencies, anything from bleeding gums and oral pain to actual damage and tooth loss. No matter what happens, it is always a good idea to reach out into an emergency dentist as soon as you can, especially if your regular dentist cannot fit you in for a visit or provide you with the care that you’re looking for. Dental emergencies should be treated as soon as possible, especially when there’s always a risk of the condition becoming worse and causing more damage. Here at TruCare Dental our emergency dentist near North Valley can provide patients of all ages with the urgent dental care that they need no matter what happens. We provide convenient hours because we know that dental emergencies do not always occur when it is convenient, if at all. Being able to get the care you need a soon as possible is vital, and we do all that we can to provide you with what you need to recover your dental health. If you are suffering from a dental emergency and require urgent dental care, then know that you can reach out to us here at TruCare Dental where are our emergency dentist near North Valley can provide you with the immediate dental attention that you need to restore your dental health and resolve any issues that you may be experiencing. When your teeth are in pain, you want a solution fast. Unfortunately, most emergency rooms are not equipped to handle dental emergencies. At an emergency room you will probably experience long wait times and large copays with no real resolution to your dental issue. However, at TruCare Dental, our Rio Rancho dentist understands that and we will work swiftly to make sure your mouth is back to normal as soon as possible. Signs of a dental emergency may include missing or knocked out teeth, toothache, jaw pain, persistent oral bleeding, sore and swollen gums, broken jaw, mouth injury, a missing or broken dental crown, as well as if a tooth becomes cracked, chipped, or broken. Injury to the gums or teeth can be very painful. At times, you may have dental pain and not know why. For example, sudden pain may be caused by pieces of food that come in contact with a decayed area of the tooth. Food, heat or cold may create pressure near the nerve and cause pain. The nerve inside the tooth also may be exposed if you lose a filling or crown. If your tooth is broken, try to save the pieces of the affected tooth so our Rio Rancho dentist can assess what happened and how best to fix the tooth. It is important to receive treatment as soon as possible as oral trauma can become more serious as time passes. Accidents can’t be avoided, but preventative care of your teeth is always encouraged. If you play sports, wear a mouth guard to ensure the safety of your teeth. We can provide instant treatment for your dental emergency, as well as long-term solutions to remedy cracked, damaged or missing teeth. At TruCare Dental, we understand how disruptive and traumatic tooth pain and oral trauma can be. Call us right away at 505-369-0074 if you are experiencing a dental emergency and require immediate treatment. At Urgent Dental Care, our emergency Rio Rancho dentist will treat your injury quickly and efficiently to produce smile-worthy results. Are you in need of dental services but don’t know if you can afford it? Are you hoping that you can find a dentist who provides a wide array of service and also accepts dental insurance? At TruCare Dental we provide a full range of dental services for your entire family. We want to be your Delta Dental dentist in 87114 – Delta Dental insurance will help you afford dental care you otherwise could not have. At TruCare Dental our fine dentists are Dr. Andrea Patterson, Dr. John Anton; and Dr. Shelly Verma. At our practice you will not only receive treatment from the finest dentists around but you will also be able to use your Delta Dental insurance. (At TruCare dental we accept many different kinds of dental insurance, so please contact us for more information.) Any one of our dentist will be happy to serve as your Delta Dental dentist in 87114. At our practice we will be able to help you and your family have all of your dental needs well taken care of including comprehensive dental exams, professional dental cleanings, teeth fillings, porcelain crowns and veneers, root canals, and much more. We also offer important emergency dental care when needed; this can be instrumental in saving a tooth that has just been knocked out. If you have any questions about your Delta Dental insurance, or any other of the many dental plans that we accept, simply contact our office. We will be happy to talk to you about our dental services and how they are covered by your particular dental policy. If there is any confusion about your benefits under Delta Dental we want you to contact our office and provide us with just a little bit more of information. Then we will be able to figure out for you the exact amount that will be covered for you when you use one of our dentists as your Delta Dental dentist in 87114. (Delta Dental is offered under several states, and you may not have the state policy that you live in. We can easily help you with this and clear up any confusion.) 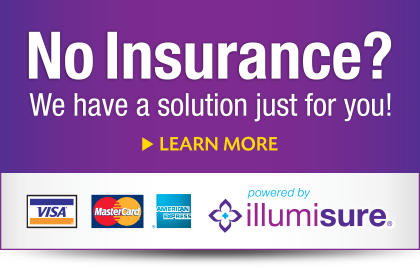 At our dental practice we are happy to accept all Delta Dental insurance coverage. Even better, all of our practice dentists are in-network for Delta Dental PPO providers. Our dentists are happy to be able to offer a patients a wide array of preventive, general and cosmetic dentistry services. So if you need a comprehensive dental exam, or wanted to speak to one of our dentists regarding a cosmetic dental procedure you have been considering, contact us for an appointment. We look forward to seeing you.